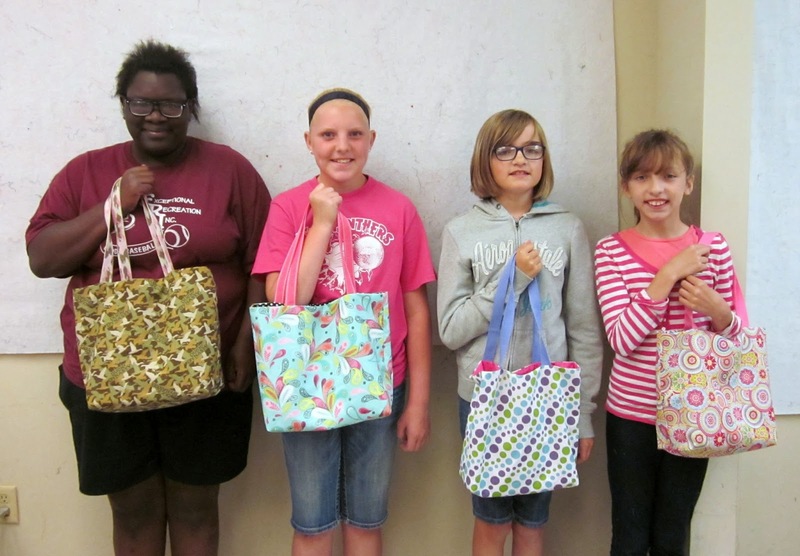 I had so much fun yesterday working with this group of girls making the CarryAll Bag during Kids Camp. 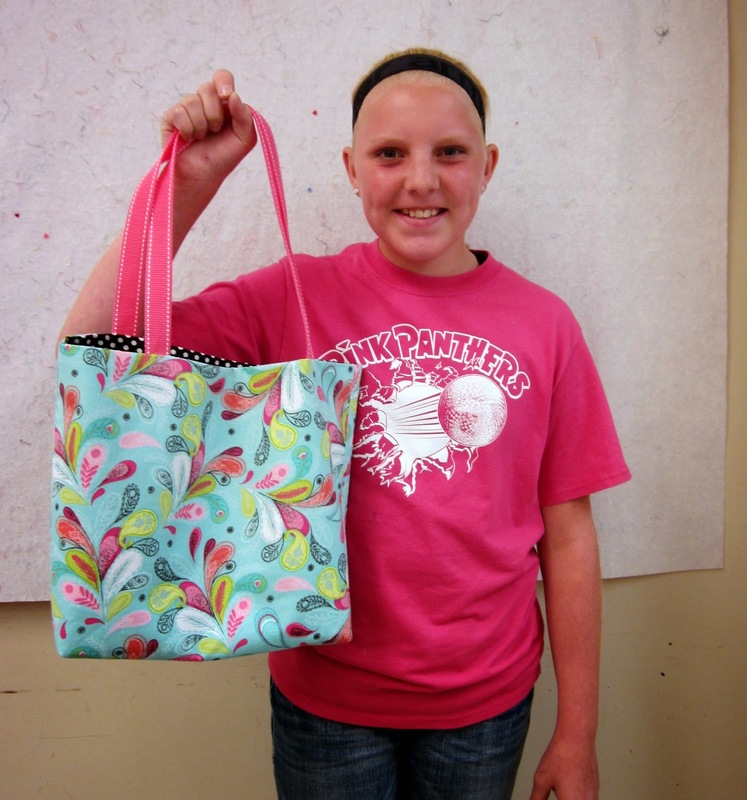 They all had such cute fabric and did a great job on their bags. 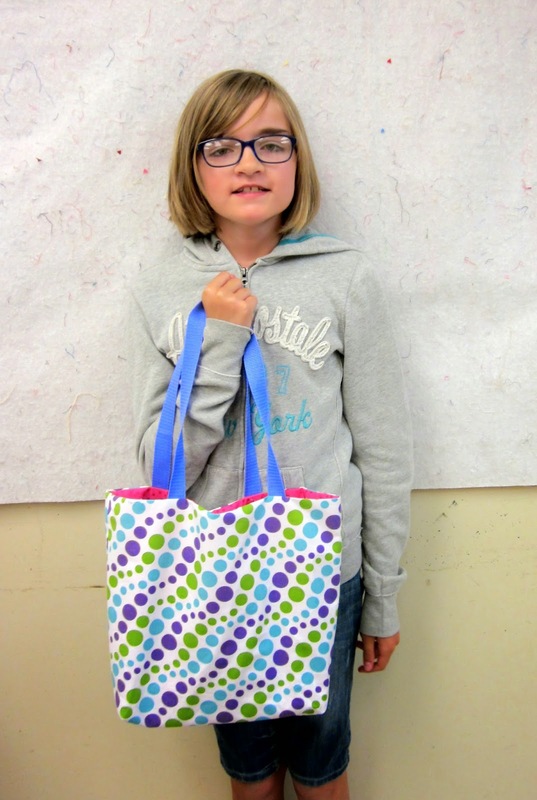 They learned how to work with a pattern, attach inside pockets, and got really excited when they got to pull their bag through the hole in the lining and see it all finished. 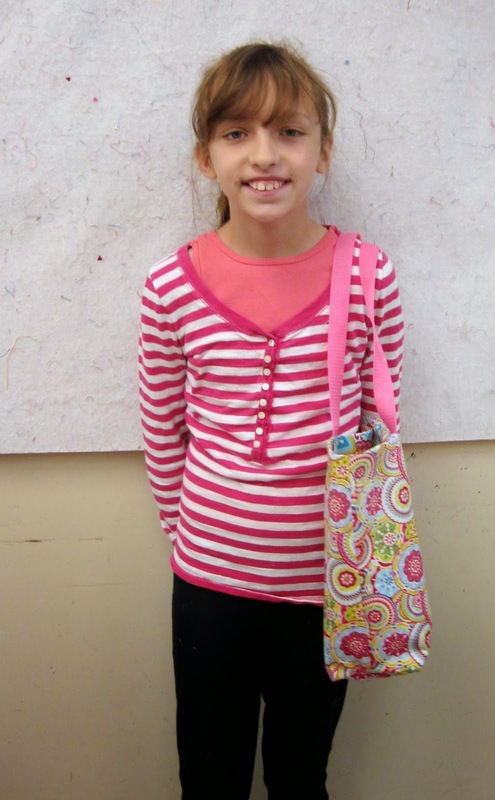 They all chose their favorite fabrics, we all know that that is part of the fun. 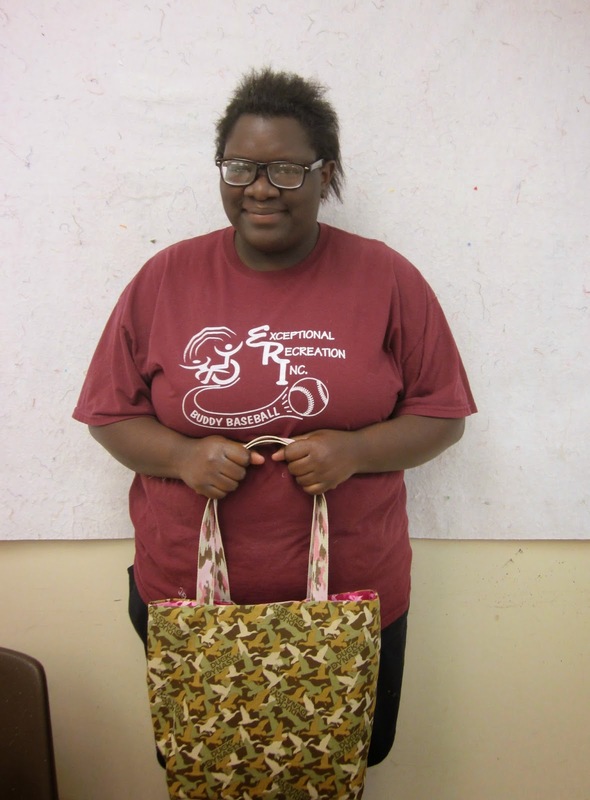 The pattern I chose used purchased handles, so they got to coordinate the handles, with the bag and lining. We used interfacing to make it sturdier and made a casing for a piece of plastic canvas to make the bag bottom more defined. I am so proud of what they accomplished! 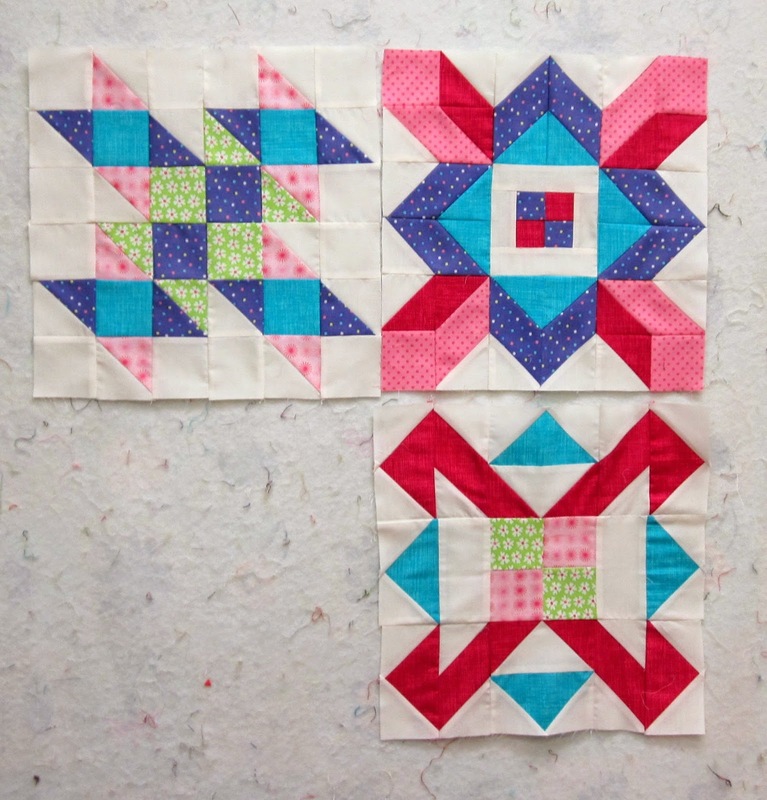 After a short break, I stayed at the store and worked on the SewCalGirl Red and White Challenge quilt since I had a Sampler Club class last night. I'm happy to report that I have the rows almost all sewn together. I'm excited to be nearing the finish line with this top. Later in the afternoon, Martha came to learn how to bind her quilt. She had to go on vacation (poor thing, right?) 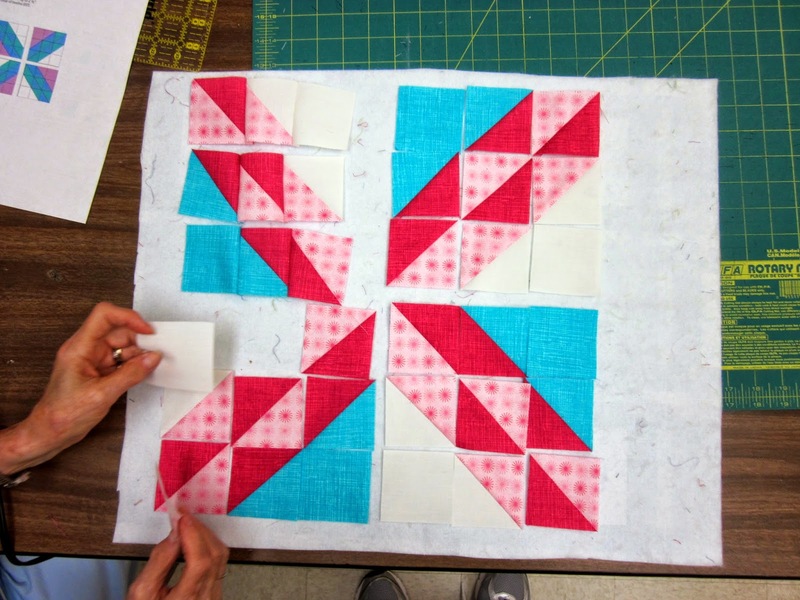 and missed the binding portion of the Beginning Quilting classes I taught last month...so she learned last night. 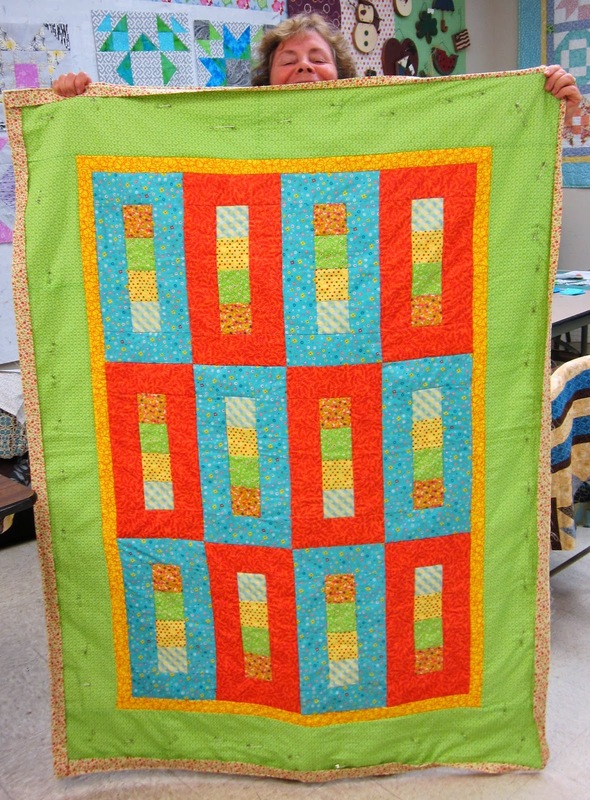 She layered her quilt with us during class, but wanted to try quilting on her home machine instead of tying. She did a great job! I love how bright and fresh her quilt looks! 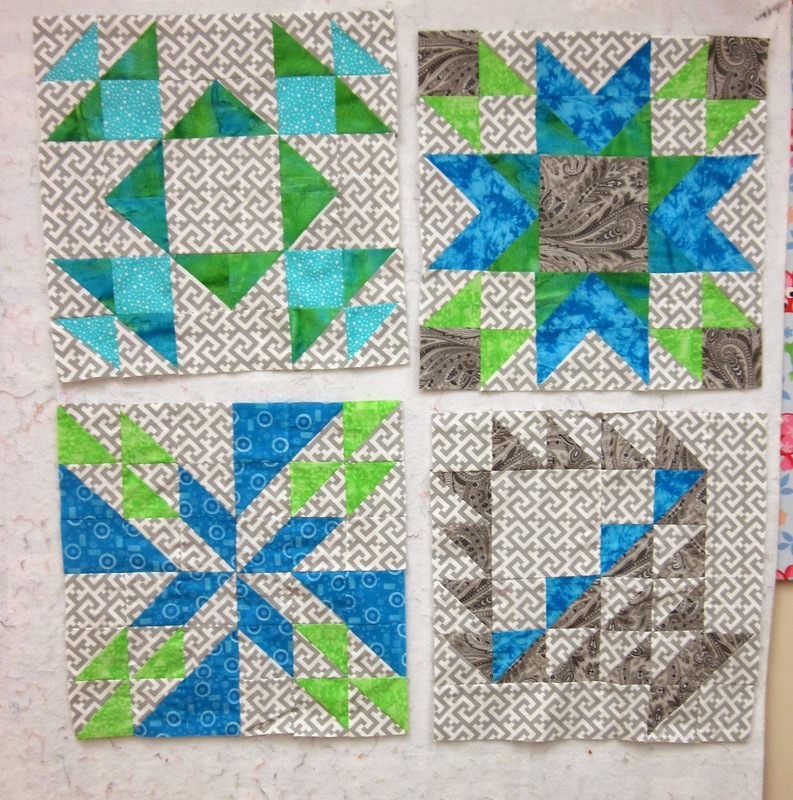 The Sampler Pick Club quilts are coming along nicely too. It's fun to see their finished blocks up on the wall and starting to look like a quilt. Many times they don't get the more complex blocks finished during class, so they show and tell the next month. 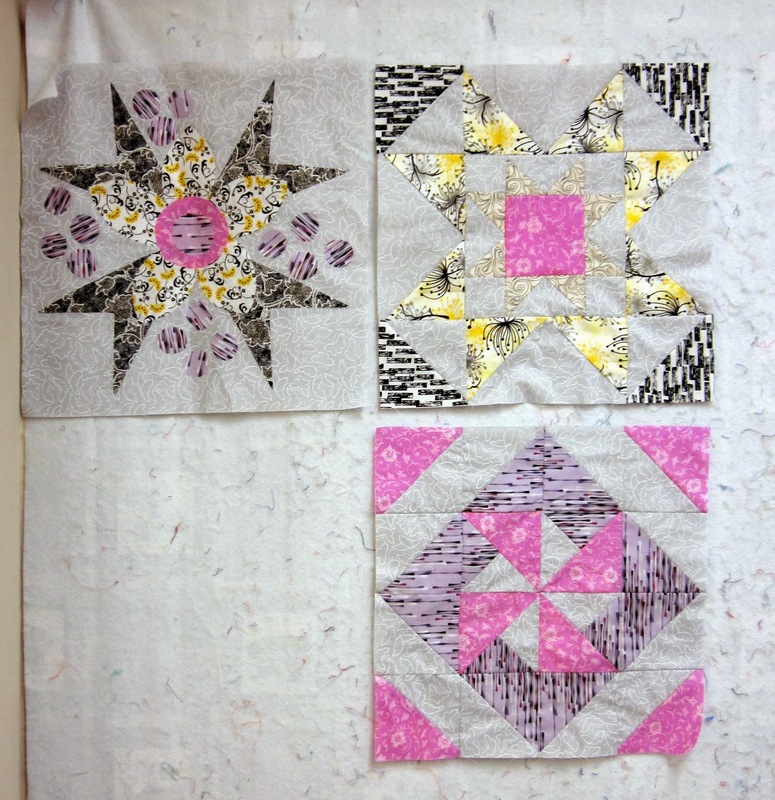 This is the group of five that are each working on a different sampler quilt. Dorothy's new block upper left. 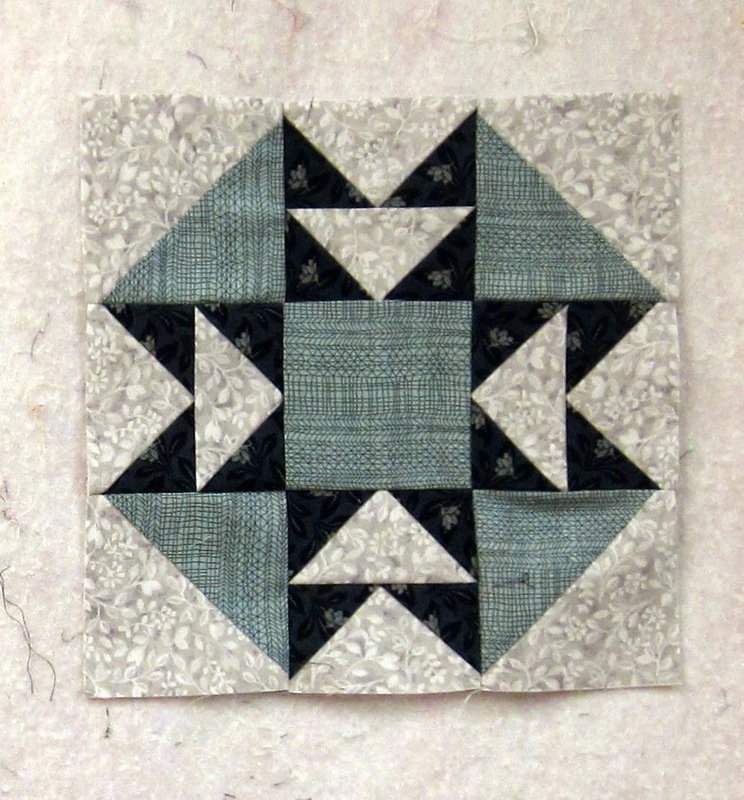 Dorothy's block from last night, ready to sew together. Lisa's block from last night. George was MIA last night as he thinks it's ok to go on vacation! Just kidding, it's always ok to go somewhere fun. He has a very large block to complete before next time, which I gave him last month to work on. All in all, it was a very quilty day and I had lots of fun. Better go get busy....today I'm working on a pattern and then hopefully finishing the Red and White quilt. Are you sewing today?